Welcome to Plumbers Drumcondra a branch of the emergency plumber Dublin group. We are now arguably the largest plumbing company in Dublin. We undertake all plumbing jobs large and small, from repairing a burst pipe to plumbing new houses. We are renowned for our expert knowledge and high quality workmanship, this being the cornerstone of our business. As such a large company we also specialize in emergency plumbing services. 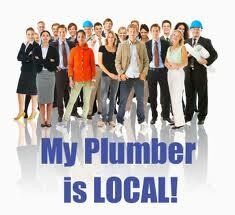 We have plumbers within our group from all over the county including Drumcondra. We operate a non stop 24 hour call out service for people who are unfortunate enough to get an unforseen plumbing problem. We always promise an ultra rapid response time of under 60 minutes from when you call us. We will have a plumber at your door as quick as humanly possible. When we take on a new plumber, we ensure that their qualifications are thoroughly scrutinized. All of our staff are fully qualified, R.G.I. registered and possess current health and safety certificates. This ensures our reputation and our customers satisfaction. We have the expertise to offer a complete plumbing service. Large jobs or small ones are treated with the same pride of workmanship. We understand that some plumbers and plumbing companies give the trade a bad name by the way they hike up prices with hidden fees. We don’t! our open transparent “Fair Price” policy ensures this. We never charge for call outs, getting parts, parking fees or traveling time. We quote honestly and competitively. This is what makes us so popular with our returning customers. We only require payment when the work is completed and the client is 100% happy. If you need a plumber in Drumcondra fast, call us on 01-6874850. We always answer the phone and would be delighted to be offered the chance to quote for any plumbing work you may have.